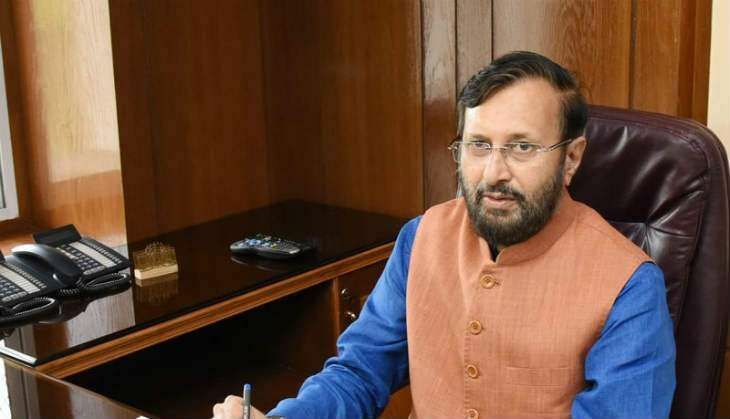 Union HRD Minister Prakash Javadekar today said the government will float an idea to enable IITs and IIMs become accreditation bodies so that burden of the National Assessment and Accreditation Council (NAAC) will be eased. "Currently we have only NAAC as an accreditation agency and there are over 38,000 colleges and 700 universities in the country and on yearly basis 800 to 100 educational institutes are being assessed by NAAC," Javadekar said while interacting with students at the Indira Group of Institutes here. "Thus, we are going to float an idea in which Indian Institute of Technologies (IITs) and Indian Institute of Managements (IIMs) will be asked to become accreditation bodies so that there will be multiple choices in front of the institutes and accreditation will be completed in limited time and we can go for more quality education," said the Minister. Asked despite having quality institutes, Indian institutes lag behind in global ranking, he said at the global level while ranking the institute, 40 per cent weightage is given to perception. "We have to fight a perception battle as there are two major rankings Time and QS and in both the rankings, 40 per cent weightage is given to perception ... how your institute is perceived world over, so we have decided to use our alumni, Indian diasporas, we will use many things to build up that perception," the senior BJP leader added. According to Javadekar, for perception, a good presentation is also needed and we will ensure that proper quality of the institute is reflected on the minds of people who rank them. Quizzed about the 'brain drain' issue, he said his ministry is emphasising on how to increase "brain gain". "There are several job fairs which take place world wide, so I have asked IITs and IIMs to take part in these job fairs and fetch good talent from there and assured them that proper platform will be given to such talent for research and innovation," said the Minister. READ NEXT >> Mayawati's Agra rally today; should BJP watch out?